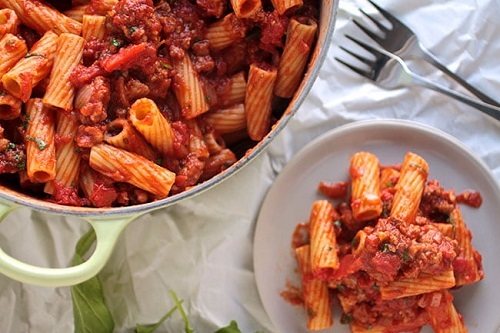 Italian dishes will tip off the dining table because they are just too delicious to resist. One such delicacy is Pasta. I mean, who does not love pasta? Aficionados of this food will always point to its creaminess and the various delicious and cheesy flavors that it presents. 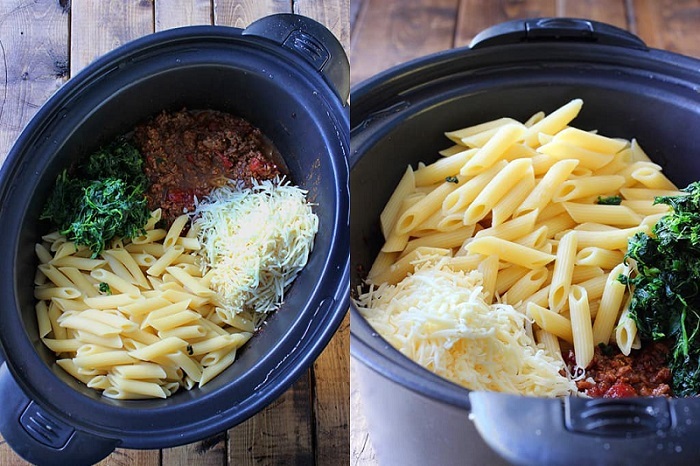 But for it to gain its optimal potential, you must prepare it the right way using the best pasta pot. You need a safe and well-designed pot. Ensure it is compatible with several cooking surfaces, durable, user-friendly, lightweight and dishwasher safe. Many other features are responsible for the quality of a pasta pot. Only the ones that present a combination of the best features will give you the kind of pasta you desire. Since many brands and models exist of this beautiful kitchen utensil, making the right decision on which particular model to buy can be daunting. 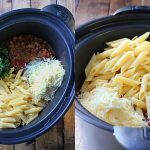 In this top 10 best pasta pot review and buying guide, we have narrowed down to ten of the best models money can buy for your indulgence. Calphalon is a renowned American firm when it comes to kitchen cookware and other kitchen essentials. Their Contemporary Hard-Anodized Aluminum Nonstick pasta pot is a testimony to the exceptional quality of their products. The pot boasts of beautiful modern design along with performance-oriented features and specifications. This pasta pot features heavy-gauge aluminum construction that is hard-anodized. Such material is exceptionally durable and will serve you for longer compared to other non-stick cookware models currently in the market. Hard-anodized aluminum heats evenly ensuring your pasta cooks consistently. The construction material is also dishwasher safe making cleaning the utensil a breeze. The inner surface of the pot features three layers of nonstick coating. The first two layers aim to provide durability while the innermost layer ensures easy release performance. The outer surface has brushed stainless steel loop handles for a firm and secure grip. The pans and covers are made from oven-safe materials to allow you to finish your gourmet dish. 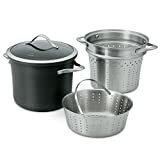 Calphalon Contemporary Hard-Anodized Aluminum Pasta Pot comes as a set consisting of an 8-quart stockpot, steamer insert, pasta insert, and a lid. The package comes with Calphalon’s limited lifetime warranty meaning you should have peace of mind that your investment is guaranteed effective. Are you looking for the best pasta pot with a strainer? If so, why not check out the Farberware Classic Stainless Steel Straining Stockpot. It marries well modern design to traditional styling to give you a luxurious pot that is great for both home kitchen and professional establishments. It boasts of 8-quart large design with high-quality construction. Food grade, oven-safe stainless steel construction is the reason for its elegance, durability and excellent performance. A heavy-gauge aluminum core ensures your pasta cooks evenly by distributing heat uniformly. The pot is easy to wash either by hand or in a dishwasher. Farberware stockpot is versatile. Besides cooking pasta, you can use the pot to prepare stew, fry food or even boil items. 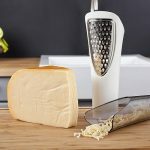 The multi-functional ability means you will have one strong piece for various needs saving the money you’d otherwise need to buy separate utensils for such needs. The pot’s handle and lid knobs are phenolic with timeless styling and are oven safe up to 350 degrees Fahrenheit. Bell-shaped stainless steel straining lids look great and stylish in all types of kitchens. 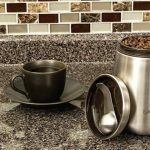 Thicker, rolled pan rims offer added durability, enhanced drip-free pouring as well as easy handling. 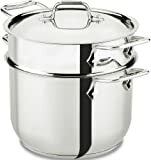 Another of the Calphalon’s great products with considering if you are looking for the best pot for boiling pasta is the stainless steel multi-pot. Calphalon uses hard-anodized heavy-gauge aluminum core sandwiched between two layers of stainless steel by employing high heat and high-pressure bonding. The resulting base is extremely durable. The aluminum core offers superior conductivity and therefore even heating for excellent browning as well as the regulation of the cooking time. The pot also features a non-porous stainless steel cooking surface that is safe for use with all type of utensils. These features make the Calphalon Stainless Steel Multi-pot an ideal choice for personal and professional use. You may also love the clear tempered-glass lids which let you see your food while it is cooking. This means you can see when the food is ready, and this avoids undercooking or overcooking. The lids are oven safe to let you finish covered dishes in the oven or maintain them warm until you are free to serve. If you choose to purchase the multi-pot, you should expect to find an 8-quart stock pot, a lid, a streamer in set and pasta insert. This pot is ideal for cooking pasta, simmering soup and preparing stocks. You may also like the fact that Multi-pot is oven safe and dishwasher safe. This pasta pot from Bialetti features Italian design and style on a highly effective pot. Available in an assortment of colors and a capacity of 5-quart, this is the kind of pot you can depend on when you want to prepare pasta as well as other foods. It exhibits a twist and lock lid with an innovative built-in strainer. Bialetti Oval pasta pot presents a PFOA free, effortless to clean nonstick surface with an excellent release. It is also fitted with Bakelite handles that stay cool and provide comfortable, ergonomic handle. Unique oval design of this pasta pot is intentional to match all pasta types from lasagna to spaghetti. You will find the pot in seven exciting colors including charcoal, red pepper, red, pink, orange, black raspberry purple and coastal blue. All you care about is to choose the color that fits your kitchen style and your personal preferences. The pot’s core is made of heavy-duty aluminum that distributes heat evenly for fast cooking. 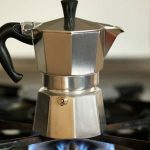 For ease of use, Bialetti designed the pot ergonomically for convenient handling. The lid features an innovative pout spout for hassle-free straining of water from pasta and vegetables. Cuisinart is among the most successful brands when it comes to kitchen appliances and cookware. One of their most preferred products is this 4-piece, 12-quart pasta pot/steamer set. 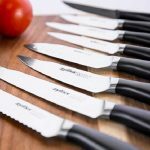 The set is made from the chef’s choice of stainless steel and presents a modern, professional design. The mirror finish is irresistible. 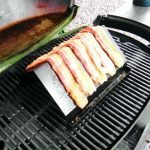 It presents a base encapsulated by aluminum that heats rapidly and evenly for perfect browning. This eliminates hot spots that might otherwise interfere with the taste and appearance of your pasta. Its stainless steel cooking surface does not discolor, alter flavors or react with food. Such features make the unit great for traditional cooking methods such as slow simmers, reduction of liquids and rolling boils. For your safety and security, the pot is fitted with a cool grip handle. The handle is made of riveted stainless steel and stays cool on the stovetop. There is also a helper handle to provide additional support as well as balance when pouring and lifting. The rim of the pot features a tapered design to enable drip-free pouring. These pots come in two metallic shades of champagne and silver. When it comes to capacity, the Cuisinart 77-412 is 12 quarts which are large enough even for large families. It measures 9 inches in height and 11 inches in diameter. Enjoy delicious pasta in style by purchasing this set of stainless steel 8-quart pasta multipots from Cook N Home. Each pot in the set features stainless steel construction with a heavy-gauge aluminum disc layered in the bottom for fast and even heat distribution. The set consists of an 8-quart stockpot, pasta insert/pot, steamer insert, and tempered glass lid. Similar to most great quality pasta pots, it features a tempered glass lid which gives you the opportunity to appreciate your favorite dish as it cooks. This reduces the chances of undercooking or overcooking. Stay cool stainless steel riveted handles offer excellent grip that is cool to the touch even immediately after the pot is out of the fire. This beautiful pot for cooking pasta comes with a deep steamer insert that holds a large amount of food. The 8-quart capacity means the pot/strainer can cook a variety of noodles to perfection. Such cooking excellence works on induction, electric, gas, glass, ceramic, halogen and many more. Cleaning is a breeze because the entire set is dishwasher safe. You will love this great pasta cooker if you need one for your kitchen or restaurant. Give even your most straightforward recipes to start treatment with this uniquely designed pasta pot from Rachael Ray. 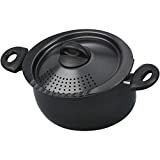 It features a unique and innovative oval shape that allows you to fit the pot on a single burner without having to give up all the others. This cookware is elegant and functional. You will love the stylish dual tone exterior capable of adding style and color to almost any kitchen. 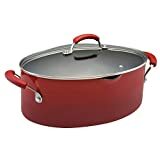 Rachael Ray designed this pot to heat extremely fast and distribute heat evenly to prevent hot spots that can burn food. Nonstick interior is long lasting and allows foods to slide down, and this makes clean up incredibly easy. You will also appreciate the grippy handles. The handles are rubberized and dual riveted to enhance comfort. They are oven safe to 350 degrees Fahrenheit. The hard enamel finish will maintain its two-tone style and sophistication for years. Aluminum construction means it is good conduction of heat and will work with induction, gas, ceramic, glass as well as more. Forget about the bulky and at best ineffective traditional strainer and choose this Clip-On strainer by AUOON. The strainer is practical. It is small, compact and lightweight. It is easy to use and store. You will require only a quarter the space needed for the traditional strainers. This should be great news for you if you have limited space in your kitchen countertop. 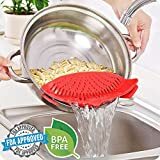 Although simple, the strainer is highly innovative. It will snap onto most pasta pots, bowls, and pans. Size should not be of concern when it comes to fitting. Clip-on means it will quickly and firmly attach via its two clips. Once it snaps, tilt it over the sink or bowl, and the trainer will do it magically. The leaf is of the high value of help to use. The filter is made of silicon which means it is food-safe and durable. This eliminates the transfer process which may contaminate your food. This cookware is made of top-quality, FDA-approved materials. Heat resistant silicone easily handles oven heat. The great news is that the pot is also dishwasher safe. The strainer works straightforwardly. The liquid will pour out while the food remains in the pot. It works even with heavy foods such as potatoes. If you want to join the bandwagon of professional cooks, then choose the ExcelSteel 12-Quart Stainless Steel Multi-Cookware Set. This versatile multi-purpose cooker stockpot is ideal for cooking tasty pasta, streaming flavorful and nutritious vegetables and creating a delicious broth for your personal homemade dishes. 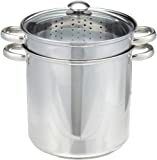 Excel Steel pasta pot boasts of 18/10 stainless steel (food-grade) to prevent rusting and eliminate contaminant transfer. The pot is induction cooktop ready. With an encapsulated base, you can be sure of uniform heat distribution for even cooking and elimination of hotspots. Riveted handles ensure your pasta pot is exceptionally constructed and sturdy. 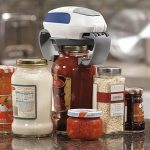 It works on many types of cooktops including induction, gas, electricity, and glass among others. This 4-piece set consists of a 12-quart cooker pot, pasta basket, steamer basket as well as a vented tempered glass lid. With such capacity, you can cook a multitude of bases and stocks for soups and stews. 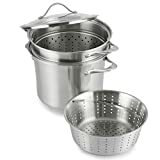 You can steam mouthwatering vegetables and cook your favorite portions of pasta with the steamer and pasta baskets. These features make the ExcelSteel Multi-cookware an ideal choice for preparing large quantities of food. Whether you are thinking of family spaghetti or a romantic fettuccine Alfredo dinner for just two, you can trust this 6-quart stainless steel pasta pot by All-Clad. Such large capacity means your noodles have room to boil. The 4-quarter insert, on the other hand, allows you to drain excess liquid without the help of a strainer. When you are through with cooking, excess liquid will easily drain through small holes on the sides and bottom back into the pot. You will also love the perforated insert that can prepare a broad range of delicacies. The set allows you to make different stocks by adding vegetables or meat as well as seasonings to the insert. Alternatively, you can use it to steam vegetables by adding a little amount of water to the pot beneath the insert. 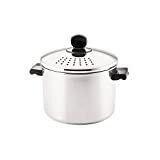 All-Clad E414S6 pasta pot is made of stainless steel for long lasting durability. The steel is heavy-gauge and food-grade. It has a large, sturdy loop handles that make it effortless to life or maneuver around your kitchen. The 3-pieces include 6-quart pasta pot, 4-quart strainer insert, and a lid. The polished stainless steel finish looks beautiful and compliments other cookware from All-Clad brand. We have presented you with what we believe to be the best pasta pots currently in the market. But, we also know that people have different taste and preferences. What appeals to me may not be your favorite. Hence, we shall look at a few factors worth considering to find a pasta pot that will suit your needs. What makes a pot for cooking pasta good cookware is its ability to withstand heat and high temperatures. You should find a bowl capable of withstanding high temperatures. Such a capability has a direct correlation with the quality of the utensil. Heat rating alone should not be your guiding factor. You may wish to conduct some research to hear what actual customers who have used the cookware say. If you do not have time to conduct such research, then it might serve you well to buy from a reputable brand that has been in the market for a considerable period. The brands mentioned in our reviews are among the most trustworthy. High-quality pasta pots are expensive. So, it would be a beautiful idea to go for one that is made to last. This will prove affordable in the long run. Durability is the result of high-quality construction material. While pasta pots are usually made from a variety of materials, stainless steel is believed by many to be the most durable. Stainless steel is also easy to clean and looks professional. Other materials include aluminum, porcelain, copper, ironware and ceramic and glass. Each of these design materials has its own merits and demerits. Aluminum, for instance, is a great conductor of heat, lightweight and affordable. However, it may not be as durable as stainless steel, and there is also some risk of cross-contamination. To avoid many problems, you can just stick with stainless steel pasta pots. The size of the pasta pot suitable for you is a highly personal choice. 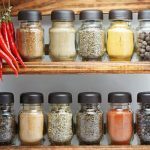 Determinants are what you plan to cook in the pot, the number of servings you intend to have on the table and the available space in your kitchen countertop or cabinet for storage. Pasta stockpots are available in various sizes ranging for a few quarts to as large as 12-quarts. The average volume for most families is 8-quarts. However, if you need a tremendous multipurpose, large, then you can go for one that measures 12-quarts in capacity. Anyway, the choice is yours to make depending on your needs and those of your family. The ability of a pasta pot to cook food evenly and to avoid burn spots is a function of the heat distribution of its base. Since aluminum is one of the most excellent and most efficient conductors of heat, most brands use aluminum core encapsulated by stainless steel. Such design helps with even distribution of heat during the cooking process. A good-quality pot should also be able to retain heat for a moment to allow warm servings. This can give you time to prepare another meal to serve with the pasta without having to reheat the latter. Look for a pot designed to retain heat for a long time. Pay attention to what actual users of the pot have to say. Safety should be your primary concern when handling hot items. The pot you choose to buy should be made of flame retardant material. Imagine what can happen if you place your pot on the oven or whatever heat source and suddenly bursts into flames. We are sure you do not want that. When it comes to handling, a quality stockpot should feature comfortable, stay-cool and grippy handles. The handle should be durable and heat resistant. Double-riveted handles are particularly sturdy. They should also feature an ergonomic design to make handling easy. A tight lid is essential when cooking various kinds of foods including pasta. The reason for having a tight lid is to quicken the cooking time and to improve the quality of the resultant food. The cover should have some handle for easy lifting to inspect the contents of the stockpot. Some innovative brands today use see-through lids made of tempered glass. This allows users to see what is cooking in the pot to minimize overcooking and/or undercooking. Q: What causes pasta pot discoloration? Ans: This commonly happens with pasta pots constructed from stainless steel. Some areas may take up rainbow colors. It is easy to solve. Just wipe it clean using non-abrasive cleaners. This will return color in no time. Alternatively, you can cook highly acidic foods such as tomato sauce and washing the interior of your pot with vinegar. Q: How do I deal with a sticky surface? Ans: This question addresses pots with sticky surfaces. The commonly sticking surfaces are those made of stainless steel. Steel has this property that causes it to expand in the heat and shrink when it gets into contact with the cooler surface. To avoid this, heat up the pot enough, add a small amount of oil to it and then add your food. Doing so will render the surface nonstick for some time by making the steel static. Q: I see white spots on my stainless steel pot. How can I remove them? Ans: It is not strange to see some white spots on your recently shiny stainless steel pot. Such spots come from a chemical reaction of the surface with calcium. To eliminate the white spots, boil a mixture of water and vinegar in the ration of 3:1 respectively and pour it inside the pot. Wait for the mixture to cool down and then wash and rinse the affected pot. The white spots go away. This review might be a mouthful, but it is precisely what you require to make the right decision. You can now step out with confidence because you know what to look for. The models we have included in our reviews are truthfully among the best the current market offer. If you do not find what suits your needs among the ten products, then you can use the provided buying guide to make a personal choice. Finally, you have no option but to impress your valued guests and family with irresistibly delicious dinner!